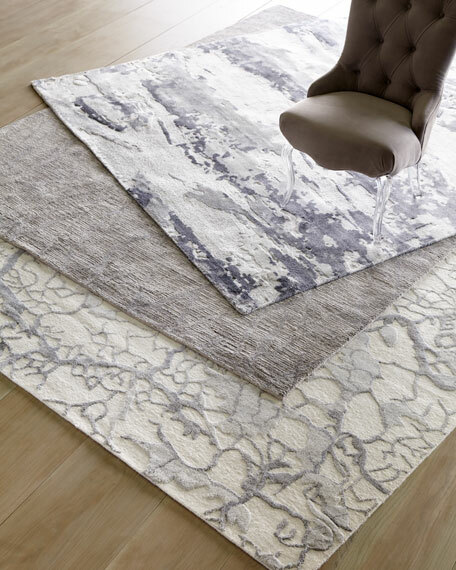 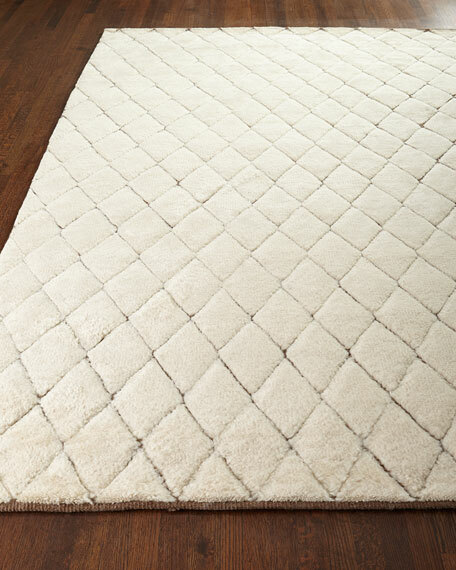 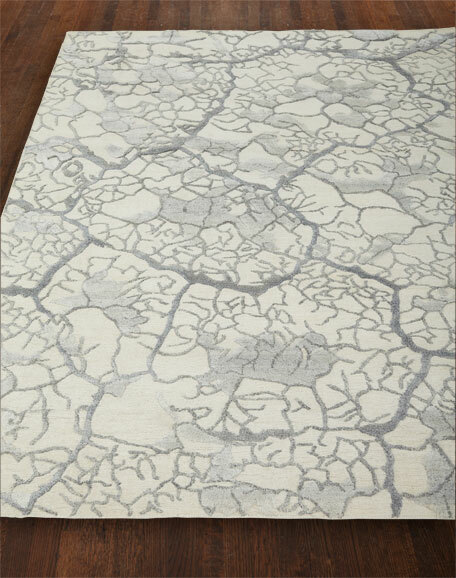 Handmade "Geneva Crackle" transitional rug. 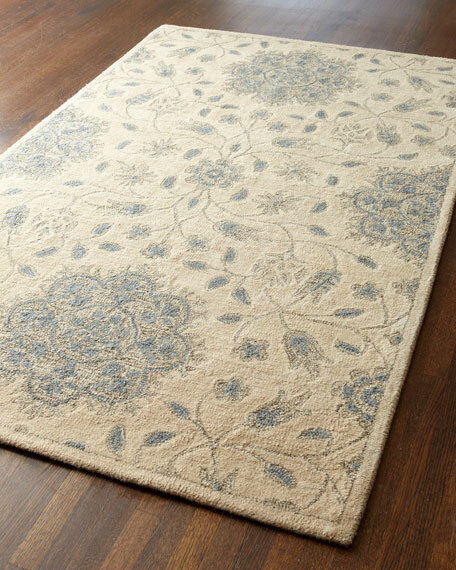 Meticulously hand-knotted for the ultimate in luxury. 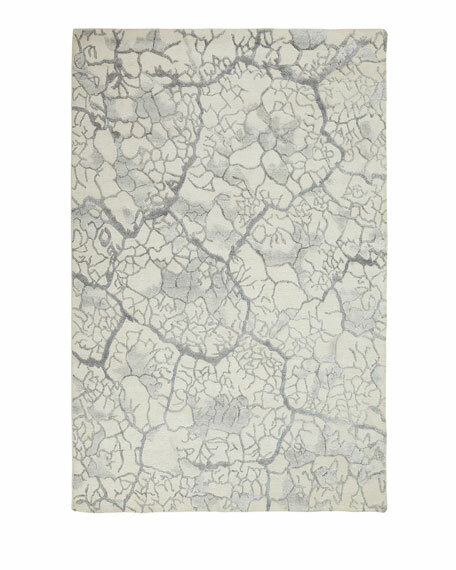 Geneva Crackle Rug, 8'6" x 11'6"
Geneva Crackle Rug, 5'6" x 7'5"
Balia Rug, 7'9" x 9'9"
Design is formed by looped yarns in a cut background.Hand tufted of Himalayan wool.Size is approximate.Imported. 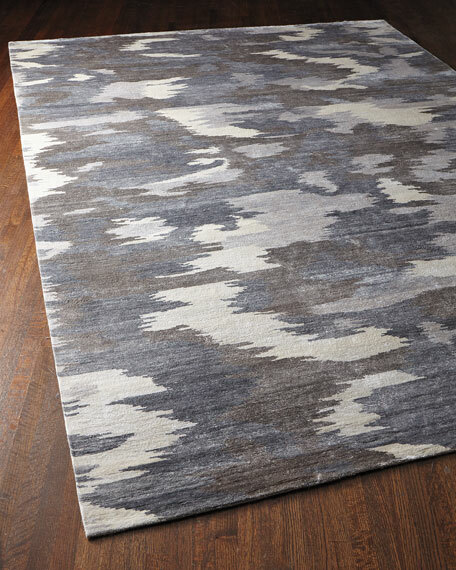 Handmade rug.Hand knotted of rayon on cotton foundation.Hand trimmed.Durable and intended for foot traffic.Size is approximate.Imported. 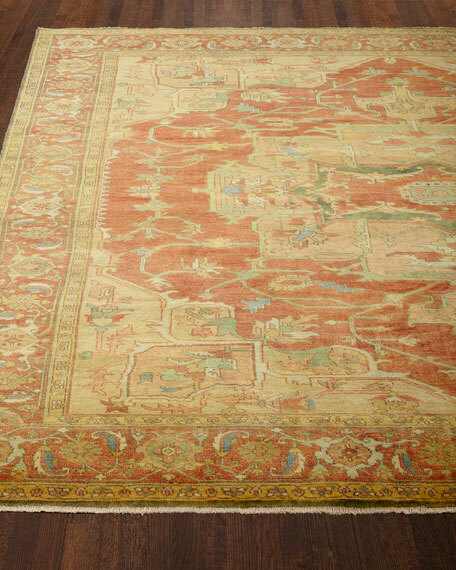 Exquisite Rugs Tribute Medallion Rug, 7'9" x 9'9"
Serape rug based on an antique design.Hand knotted of New Zealand wool.Size is approximate.Imported. 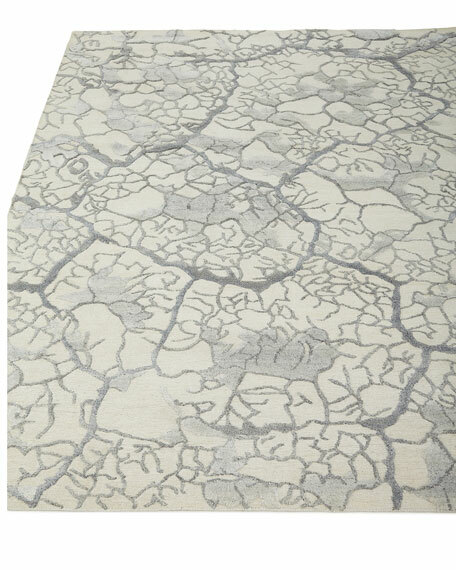 Harounian Rugs International Diamante Rug, 7'9" x 9'9"
Inspired by famous Moroccan rugs.Hand knotted of wool.High/low texture for unique design and pattern.Size is approximate.Imported.